If you like being your own boss with working hours to suit your schedule and have the drive to run your own business, and of course you know one end of a spanner from the other, then becoming a self-employed mechanic could be just the job for you. Before setting off, here are fourteen handy things to get you revved up prior to opening your workshop doors to the masses. For those really big engine repair jobs it’s near-on impossible to work on many cars with the engine located within the tight confines of the car chassis. Engines are heavy. Even the Incredible Hulk would struggle. A folding crane is a great investment, they enable you lift heavy car parts out of the chassis to a stand-alone location where there is room to manoeuvre. Folding cranes are particularly useful in smaller workshop environments where storage facilities are limited. Unfold the wonder that is the folding workshop crane. Whilst the source of a niggly drip is proving difficult to find, pop a drip tray beneath to catch the liquid to ensure it doesn’t spill on to the workshop floor. Flexi-trays are a robust solution for areas where there is a risk of the tray being run over. The rubbery design springs back into shape and can be easily folded away for simple storage. Boing. Follow this link to find fabulous flexi drip trays. If you are not fortunate enough to have the luxury of a pit to enable you to inspect the underside of cars and vans, worry not. You can smoothly glide underneath vehicles comfortably and quietly with the help of a plastic dolly. If you are a tall person then you can cleverly connect two dollies together to create a longer platform. 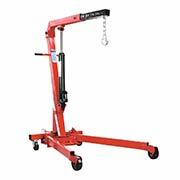 You can also use the dolly for handling bulky and heavy deliveries of car parts and accessories. You will without doubt be requiring a plethora of varieties of nuts, bolts, screws, washers, bulbs and other small parts. Ensure that your car parts are stored efficiently with individual storage containers separating different sizes, shapes and brands. Lovely louvre panels and CP plastic storage bins create the perfect motor accessories storage unit. Fix them to the wall for a slimline storage solution. Repair work can be carried out on smaller components away from the vehicle. A solid workbench is an invaluable addition to any workshop. Doubling up as the perfect place to sit and have a cup of tea and a biscuit at break time. Here is an assembly of workbenches for your perusal. Workshop temperatures can vary dramatically, it can prove tricky enough already working on fiddly wiring and other intricate jobs without adding cold hands into the mix. 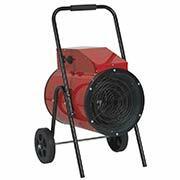 Ensure you keep warm and toasty with an industrial fan heater. Note: check that your power supply is man enough before switching on as some heaters require more power than a standard domestic supply. For those days when the sun is out and elbow grease is providing a little too much internal heat here’s an industrial heater that multi-task as a cooling fan too. Fantastic. A cost-effective method of insulation. Industrial rubber matting not only looks smart, but provides excellent insulation against the harsh feel of concrete floors. It is also worth considering for its sound-proofing properties. If your workshop is located in a residential area, matting helps minimise noise and thus maintaining a happy neighbourhood. The matting also provides a softer landing for items which may be dropped onto it reducing breakages. Step over here to grab your rubbery roll. Disposing of waste in a responsible way is all part and parcel of running your own business. We’re all familiar with recycling paper and glass and composting vegetable waste. But the proper disposal of oily rags and wipes while in the workshop is not only important to ensure the work area remains tidy but oily remnants left lying around the place become a fire hazard. Separate cloths and wipes which are covered in flammable waste in a specifically designed oily waste can and ensure the bin is emptied on a daily basis. 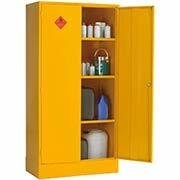 Safely remove oils, brake fluids and other flammable liquids with a can created from high density polyethylene. They are extremely corrosion resistant and designed to negate the risk of spontaneous combustion. You can get a HDPE liquid disposal can here. Working in the shadows of a car bonnet can be gloomy, especially during the winter months when natural light isn’t very forthcoming. A portable inspection lamp works wonders at shining a little light on the situation. For any mechanic, oil changes will become as common as a rainy day in the UK. 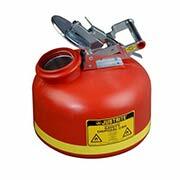 Ensure old oil is contained in a specifically designed drain pan. Suitable for brake fluids too they have an anti-spill rim to help avoid slopping over the side. A pouring spout means waste liquids can be easily transferred to an appropriately with minimal risk of spillage. Don’t panic, you can get your drain pans here. There will be times when you don’t quite hit the nail on the head… We’ve all slipped with a spanner or hammer before now and are well aware that it smarts a little! So don’t forget to keep some soothing first aid nearby. Hopefully this article has been of service (sorry!) to you. 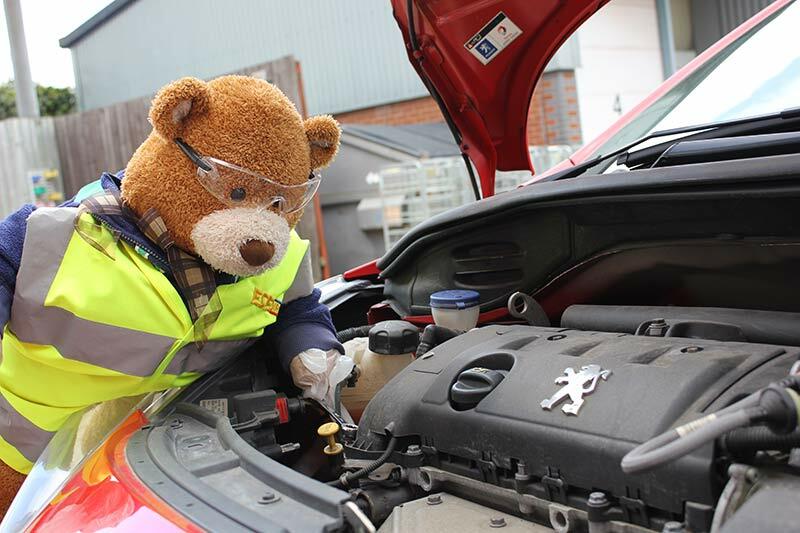 For further help and advice motor on over to our website http://www.esedirect.co.uk or give us a call on 0808 278 3258.